Class all-rounders are a rare material in cricket. With the outset of white ball cricket, all-rounders became a vital part of any cricket squad. The modern-day cricket is having a huge demand for the All rounders. Rather than selecting a specialist bowler or batsmen, captains prefer to include an all-rounder in the squad. The motivation is that the contender will be either beneficial with the bat or ball. We have seen a lot of contests were all-rounders single handedly led his team to the triumph. Mastering with either bat or ball may be a gifted skill. But balancing in both the department entails hard work and dedication. In this article, we are going to pick 9 players top 9 ODI nations whom mastered with the bat and ball. Arguably the greatest all-rounder of the 20th century in ODIs. Since his debut, Cooper played 227 ODI matches and attained jaw-dropping stats. His 5000 runs, 100 wickets and 100 catches in ODI make him one of the greatest players with the bat and ball. Cooper was a middle-order batsman and a talented off-spinner. His captivating batting style was delighting for the viewers. He has been described by Steve Waugh and Shane Warner as the greatest all-rounders of their time. Cooper had a great start for his side since his debut in 1987, managed to hit a ton against India in his 2nd International outing. Cooper has been a perfect definition for a hardworking cricketer. He wasn't a gifted batsman, but his potential and passion to become an all-rounder moulded him as a best in the department. 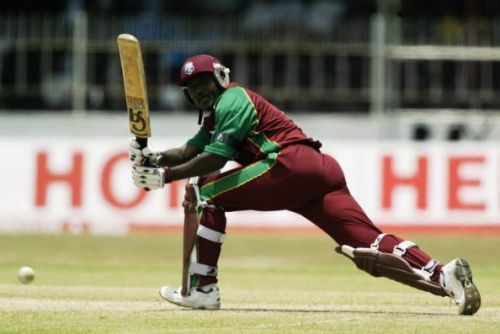 When it comes to best ODI all-rounders from West Indies, Hooper will have a reserved spot.